Norwegian Government on May 14, 2008. Je suis l’employé, le technicien, le mécanicien, le chauffeur. Sunt angajatul, tehnicianul, mecanicul, șoferul. Yo soy el oficinista, el técnico, el mecánico, el conductor. Israel condemned, and sentenced Vanunu as a spy. He was not a spy. 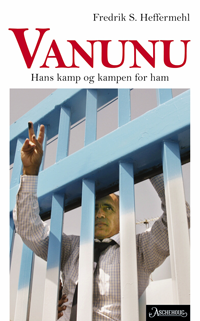 Vanunu is a political prisoner, denied democratic freedom of speech. Vanunu´s poem «I´m Your Spy», is most telling on his actual motives. The poem circles around moral themes such as the responsibility of each individual not to be a mindless, willing tool. Vanunu felt that everyone - out of loyalty to society - has a duty to try to stop evil, dangerous plans. Vanunu rejected that you can build security on devises for total insecurity. Hopefully, the Israelis will now ask whether there is any reason for doubting that his honest intention was to raise a democratic debate on a weapons program that he saw as an urgent threat to Israel, the region and the world? The nuclear danger is the dominating theme, repeated endlessly, in the prolific flow of letters from Vanunu´s prison cell. The authorities have censored his letters, read all Vanunu´s letters for almost two decades. The security establishment knows the truth about Vanunu, they know that his dominating interest is politics, above all warnings and criticism of nuclear security policies. The security establishment know who Vanunu is, it is time they tell the Israeli people. Who can read his poem «I´m Your Spy» with an open mind and fail to see that he had moral, honest motives and followed his conscience? 1974-75: University studies of physics. 1976-85 Vanunu (22-31) trained and employed as technical assistant at Dimona nuclear plant. 1979-85: Ben Gurion University, studies of geography, philosophy, as well as political and ethical issues. Political awakening: opposed Israeli invasion of Libanon and criticized the Israeli state´s militarism and policy toward the Palestinians in Israel and occupied territories. 1985: Vanunu travels abroad, Asia, Australia, continued philosophy studies. Sept. 30, 1986 - lured to Rome, beaten, drugged and kidnapped back to Israel by Mossad, the secret agency of Israel. 1986-97: Kept in strict isolation in 6 square meters cell. - Vanunu was not an advanced scientist, but a subordinate technical assistant. - An oath of secrecy would not bar him from exposing an illegal nuclear program. - If Vanunu had been a spy for another state (which? ), he would long ago have been released in a swap with agents of that state. - He did not go to an enemy, but to the newspapers, in an attempt to protect his own people, the region and the world against great danger. - Scientists agree that Vanunu primarily had photos to offer, in 1986. Now, almost 18 years later, the Israeli claim that he has nuclear secrets is nothing but an empty pretext for continuing the punishment. - In civilised justice a prisoner who has served his time is back in society. - Israel may find it embarassing that Vanunu was abducted in violation of the territorial integrity of Britain and Italy, but cannot keep him forever to cover up its own illegal actions. - One main problem for Israel is a US law that prohibits support to countries that break the 1968 treaty on nuclear disarmament and non-proliferation. Last weekend a meeting was held in the security establishment, at which a discussion was held about the legal measures to be taken upon the release of atom spy Mordechai Vanunu, in late April. Vanunu is about to be freed, after completing the 20 year sentence that was he was given for selling Israel's nuclear secrets to the British newspaper, Sunday Times. However, since the danger has not yet passed, that upon his release he will continue to reveal information that he retains, the security establishment is seeking legal measures to restrict his movements and to prevent him from passing on the secrets. According to estimates, any measure that the State takes on this issue, will be presented to the High Court of Justice for study and approval. The two main options are administrative detention or a "package of restrictions". As far as concerns administrative detention, which in any event must be renewed every six months - the security establishment believes, that it would be difficult to defend this measure before the High Court of Justice. On the other hand, the "package of restrictions" that is to be set up by the security and justice authorities will be easier to defend. Such a "package" will include, among other things, restrictions on Vanunu's movements, a prohibition on leaving the country and a prohibition on obtaining a passport, a prohibition on corresponding with foreign elements, a prohibition on giving interviews to the media and on publishing books and regular reporting at a police station. 4. WHAT VANUNU DID WAS THE RIGHT THING! (Note: In the introduction to his Peace is Possible article Daniel Ellsberg first describes a situation where, as advisor to the US President, he held in his hand a secret «For the President´s Eyes Only» note that the US nuclear war plans would kill as many as 600 million people, and then continues:) Unfortunately, the thought of going outside the Executive branch to inform the public never occurred to me then. So the question of giving up my clearance and career, let alone of going to prison, didn't arise in my mind. I've learned since that individuals can decide to pay such a price to warn their fellow humans of the truth, and can conclude they had done the right thing. In Israel Mordechai Vanunu remains in prison, after almost twelve years in solitary confinement, for revealing to his fellow citizens that their officials had long before secretly decided to initiate and steadily to expand a nuclear arsenal. Nothing could be more consequential or dangerous for the long-term security of Israel, more demanding of democratic discussion and determination, than the decision to be the first to introduce nuclear weapons into the Middle East: something that successive Israeli governments had said precisely, and falsely, they would never do. Vanunu released to the press photographs that proved not only that Israel has done exactly that, but that the scale of the program has been larger by far than anyone had suspected. To this date his hopes that a genuine democratic discussion of the policy would emerge in Israel have not been rewarded. Yet in his statements from prison Vanunu has never wavered in his judgment that the risks he took and the terrible personal price he has actually paid to make an informed democratic discussion and decision possible were justified by the moral values and human lives at stake. I agree. He should be released from prison not because he has suffered "enough" but because he did exactly what he ought to have done. I myself faced such a choice, this time consciously, when I discovered in 1969 that a new president, Richard Nixon, was deceiving the public about his policy in Vietnam just as his five predecessors had done, and that like them he was on a secret course that would almost surely prolong and escalate a wrongful, hopeless war. As one part of my efforts to avert that, I copied and gave to a Congressional committee, and later to a number of newspapers, an official study that came to be known as the Pentagon Papers: a 7000-page, 47-volume Top Secret history of US decision-making in Vietnam from 1945 to 1968. I expected that that particular action would put me in prison for life. Indeed, I was put on trial facing charges totalling a possible 115 years in prison. So this is, in the end, a success story. It demonstrates what one person can do to help change a disastrous course of events--in this case, to shorten a war--by telling and documenting the truth. Government policies that require secrecy from legislatures and the public because of their recklessness, illegality and duplicity are not, in fact, uncommon. Such policies are vulnerable to exposure by a single conscientious individual. And that is true outside the government as well. Merrell Williams, an out-of-work professor hired as a paralegal researcher for a tobacco company, found himself handling documents that proved that the company--and obviously the industry as a whole--had known for a generation that tobacco was both addictive and toxic, and that it was targeting marketing on adolescents, all matters that corporate officials had long denied, recently under oath. By copying these documents and sending them to Congressional committees, newspapers and researchers--eventually they were put on the internet, beyond recall by the corporation--he provided the basis for legislation and promising lawsuits that may eventually save a large fraction of the 450,000 lives that are lost each year in the US alone as a result of smoking. Many readers may find, at some point in their careers, that they hold in their hands documents that give them a powerful opportunity to save lives: if they are ready to expose the truth at whatever cost to themselves. The world needs more people like Williams and Vanunu. Science has lost its innocence. ..... The atom bomb dropped on Hiroshima, in August 1945, heralded a new age, the nuclear age. The nuclear age is the creation of scientists, but it went sour on them from the very beginning. In total disregard of the basic tenets of science -- openness and universality -- it was conceived in secrecy, and usurped -- even before birth -- by one state to give it political dominance. With such congenital defects, and being nurtured by an army of Dr Strangeloves, it is no wonder that the creation grew into a monster; a monster with 100,000 heads, nuclear warheads; a monster that breathed fear and mistrust, and threatened the continued existence of the human species on this planet. Scientists have a great deal to answer for. The use of the atom bombs on Hiroshima and Nagasaki brought the Second World War to a dramatic end, but it was also the start of a ferocious nuclear arms race, mainly maintained by scientists from both sides of the iron curtain. Within a few decades both superpowers accumulated more than 100,000 nuclear weapons, which -- if used -- could have brought the human species to an end. On several occasions, notably during the Cuban Missile Crisis, of October 1952, we came very close to the actual use of the weapons, with catastrophic consequences. This danger has to be tackled. The preservation of the human species must be our top priority. We cannot allow the miraculous product of billions of years of evolution to come to an end just because we cannot forget our quarrels. We are beholden to our ancestors, to all the previous generations, for bequeathing to us the immense cultural heritage that we enjoy. It is our duty to pass it on to future generations. We owe an allegiance to humanity. Here then is the problem we present to you, stark and dreadful, and inescapable: Shall we put an end to the human race; or shall mankind renounce war? Nuclear scientist and 1995 Nobel Peace Prize laureate. ... I was involved in the making of the atom bomb from the very beginning and have been advocating their abolition ever since the Hiroshima bomb. ... Israel´s nuclear policy is one of deliberate ambiguity: it does not formally acknowldedge the possession of the bomb, but it wants everybody to know that it does have the bomb. Vanunu provided this knowledge. It is possible that Israel would have preferred this information to be conveyed to its enemies in an indirect way, rather than by direct disclosure from an Israeli employee. But this by itself did not imperil the security of the State of Israel. The location of the establishment was known. And the disclosure about the throughput of the reprocessing plant was of no material help to any other country intending to make its own nuclear weapons. In view of all this I find it difficult to understand why he received such a severe sentence. What, in fact, can be the purpose of continuing to keep him in prison? One explanation is that he is being used as an example, as a warning to others not to attempt a similar deed. If so, spending 10 years in prison should be enough to serve as a deterrent. A more widely perceived explanation is that he must be kept in isolation in order to prevent him from revealing further information harmful to Israel. If this refers to the disclosure of new nuclear secrets, then it is nonsense. Having followed developments in nuclear weapons throughout the years, I am firmly of the opinion that there is nothing of significance that he could tell at the present time that is not already known and published. Thus I fail to see any reason why Vanunu should not be released now. Nuclear physicist, academic, defense analyst and writer on military technology. What then did Vanunu tell the Sunday Times about Israel´s nuclear activities? His information was mostly about the materials procuced at Dimona. What they were and the amounts produced. (Barnaby´s gives decription of technical details, and these concluding words) .... Vanunu suggested that Israel may have developed battlefield nuclear weapons but this was speculation on his part. In other words, he said nothing about the design of Israel´s nuclear weapons. In my opinion, he knows no details about them. There is no doubt that Vanunu´s revelations about production activities at Dimona added significantly to what was known by the public and foreign govenments about the status of Israel´s nuclear weapons programme. However these disclosures do not appear to have damaged in any tangible way Israel´s national security. To the contrary, Vanunu´s disclosures ten years ago are more likely to have enhanced Israel´s national security by making the threatened use of nuclear weapons by Israel appear more credible. In other words, this would have increased - not decreased - the deterrent value of Israel´s weapons. Mordechai Vanunu´s initial revelations about Israel´s nuclear weapons programme made ten years ago provided new, significant and important information on the status of nuclear weapon developments in Israel. These revelations, however, were not damaging to Israel´s national security. If anything they strengthened the deterrent value of Israel´s nuclear arsenal. Certainly, no evidence has been forthcoming in the past ten years to indicate otherwise. If he were released from prison today <October 1996>, there is no basis to believe that Vanunu could further harm Israel´s national security by revealing additional information. The greatest harm he could inflict would be to emigrate to Iran, Iraq, or Libya to assist in the production of nuclear weapons materials. Even in this unlikely case, his usefulness would be very marginal. Vanunu revealed classified information, for what he believed was a higher cause. He was illegally kidnapped, returned to Israel, tried convicted, and in violation of his human rights he has been held in solitary confinement for then years. He has paid amply for his crime of revealing classified information. There is no plausible argument for extending his imprisonment. Vanunu never presented a threat, and he certainly no longer represents a credible threat, to Israel´s national security." According to press reports Israel may not give Mordechai Vanunu his full and unconditional freedom upon his release from prison on April 21, 2004. If these reports are accurate it gives reason for grave concern and would not show the slightest appreciation, on the part of Israel, for the general progress towards the goal of a Mid-East without weapons of mass destruction, with major concessions, in 2003, from Israel´s neighboring states Syria, Lebanon and Iran. Vanunu has suffered enormous hardship and injustice. He was incorrectly sentenced after a crime against him - an international kidnapping. He was neither a spy nor a traitor. Where is the foreign country that he conspired with? Which state secured him an early release through a swap of agents? We must assume that Israel sees its nuclear weapons only as a deterrent - if so, Vanunu did his country a helpful service making them better known. What Vanunu had to offer was mainly photographic evidence, of Israel´s nuclear weapons program as of 1985. That Israel possessed nuclear weapons was no military secret. Besides, nuclear scientists all agree that if Vanunu, a subordinate nuclear technician, ever had any secrets, these would have lost any and all value in only a few years. Vanunu was sentenced to 18 years in prison, not to life or 20 years - or to 18 years with an open option for the Israeli government to extend the time. Vanunu was exposed to cruel and inhuman treatment, torture, in the form of nearly 12 years in solitary confinement, he was denied normal parole after 12 years, and Israel has smeared and misrepresented his motives. Vanunu has had to pay a terrible price for his unselfish service to his country and to mankind, losing the most valuable period of his life, from age 32 to 49, and is now facing enormous difficulties in building a future for himself. Vanunu wished democratic debate to penetrate also security matters and deserves recognition as a pioneer in the struggle for a more secure Israel, Mid-East - and world - free of nuclear weapons. Israel should thank Vanunu, make amends and make up for injustice to a corageous and heroic pioneer in the anti-nuclear struggle. Through almost two decades the world has waited impatiently for Israel to live up to its claims of being a respectable democracy under the rule of law. The full and unconditional release of Vanunu is long overdue. with what is above you. He stepped back and saw  what a monster. the monster. I’m part of the system. the eyes of the nation. Mordechai Vanunu, Israel, was a subordinate nuclear technician at what proved to be a clandestine nuclear weapons program. Following his convictions he delivered evidence to a London newspaper, the Sunday Times. Israel’s secret police abducted him to Israel, via Rome, in grave violation of the territorial integrity of both Britain and Italy. He was sentenced as a spy to 18 years in prison. He wrote «I’m Your Spy» early during the first 11 1/2 years he was held in strict isolation. He is due to be released on April 21, 2004.
de ce qui vous dépasse. N’essayez pas de penser pour nous. Allez, conduisez. Continuez. En avant, en avant. Il n’y a rien à craindre. Ne vous en faites pas. Où est leur tête? Moi aussi j’ai une tête. Pourquoi est-ce que je vois la machine tout entière. y a-t-il un conducteur sur ce train? Il fit un pas en arrière et vit quel monstre..
le monstre. Je fais partie du système. Ce boulon fait partie d’une bombe. Ce boulon c’est moi. continuent à ajuster les boulons. Qui d’autre sait? Je le vois. Pourquoi moi? Ce n’est pas pour moi. C’est trop énorme. Dresse-toi et crie-le. Dresse-toi et dis-le au peuple. les yeux de la nation. Sans toi, il n’y a que le précipice. Et il n’y a pas d’endroit où me cacher. Le monde est petit, petit pour Big Brother. la prochaine machine. Non. Il n’y en a pas. Mordechai Vanunu, d’Israël, était un technicien nucléaire subalterne dans ce qui s’est avéré être un programme clandestin d’armement nucléaire. Poussé par ses convictions, il en fournit les preuves à un journal londonien, le Sunday Times. La police secrète israélienne le kidnappa et le livra à Israël, via Rome, commettant ainsi une violation grave de l’intégrité territoriale de la Grande-Bretagne aussi bien que de l’Italie. Il fut condamné comme espion à 18 ans de prison. Il écrivit «Je suis votre espion» au début des premières 11 années? de son maintien en isolement complet. Traduction: Viviane Lerner. pentru ce este mai presus de tine. Nu incerca sa gandesti pentru noi. Hai, condu. Continua. Nu ai de ce sa sa te temi. Nu-ti face griji. Unde le este capul? Si eu am un cap. De ce vad tot motorul. exista vreun conductor in acest tren? Facu un pas inapoi si a vazut --- ce monstru. este intr-adevar acolo. Fac parte din sistem. sa pregateasca bombe. Cine mai stie? Il vad. De ce eu? Nu este de mine. Este prea mare. Ridica-te si striga. Ridica-te si spune-le oamenilor. Fara tine, exista doar hazardul. iar acum nu mai este nici un loc in care sa ma pot ascunde. Lumea este mica, mica pentru Big Brother. Veniti si vedeti cu ochii vostri. Usurati-mi povara. Opriti trenul. urmatoarea masina. Nu. Nu exista asa ceva. Mordechai Vanunu, Israel, a fost un tehnician in domeniul nuclearului, asistent in cadrul a ceea ce s-a dovedit a fi un program clandestin pentru arme nucleare. Ascultandu-si constinta, a oferit dovezile unui ziar londonez, „The Sunday Times”. A fost rapit de politia secreta israeliana, care l-a dus in Israel via Roma violand grav integritatea teritoriala atat a Marii Britanii, cat si cea a Italiei. A fost condamnat la 18 ani inchisoare pentru spionaj. A scris „Sunt spionul vostru” la inceputul primilor 11 ani si jumatate de inchisoare, timp în care a fost tinut in izolare stricta. Ar urma sa fie eliberat la 21 aprilie 2004.
les ikke teksten. Se ikke på hele maskinen. Du har bare ansvar for denne ene skruen. For stemple godkjent på din lille bit. Det er alt du behøver å tenke på. Ikke bry deg med det som er over din forstand. Ikke prøv å tenke for oss. Fortsett, kjør. Hold det gående. Videre, videre. Slik tenkte de, de store, de kloke, de som former fremtiden. Det er intet å frykte. Bekymre deg ikke. Vår lille ansatte er en bra arbeider. En enkel operatør. En liten mann. Små menns ører hører ikke, deres øyne ser ikke. Vi har hoder, de har ikke det. hvor dette toget er på vei? Hvor er deres overhode? Også jeg har et hode. Hvorfor ser jeg hele maskineriet? har dette toget noen fører? Den ansatte tekniker, sjåfør, operatør så opp. Han gikk bakover og stirret - hvilket monster. det er jo faktisk der. Og jeg faktisk her. Jeg ser monsteret. Jeg er del av systemet. Jeg undertegnet skjemaet. Først nå leser jeg det hele. Denne skruen er del av en bombe. Denne skruen er meg. fortsette å skru tingene sammen. Hvem ellers vet? Hvem har sett? Hvem har hørt? - Keiseren er virkelig naken. Jeg ser ham. Hvorfor jeg? Det er ikke min sak. For stort. Reise seg og rope ut. Reise seg og fortelle alt folket. Du kan.
Jeg, skruen, teknikeren, operatøren? - Ja, du. Du er folkets hemmelige agent. Du er nasjonens øyne. Agent-spion, fortell oss hva du har sett. Fortell oss hva de på innsiden, de smarte, har holdt i skjul for oss. fra min samvittighet og kan ikke unnslippe den. Verden er liten, liten for Storebror. Jeg har oppdrag fra deg. Jeg gjør min plikt. Ta den fra meg. Kom og se det selv. Lett min byrde. Stans toget. neste maskin. Nei. Noe slikt fins ikke. Mordechai Vanunu, Israel, var underordnet atomtekniker ved et anlegg som viste seg å være et hemmelig atomvåpenprogram. Vanunu fulgte sin samvittighet og overga fotografiske bevis for virksomheten til avisen Sunday Times, London. Israels hemmelige politi bortførte ham til Israel, via Roma, en klar krenkelse av britisk og italiensk lov. Etter å være dømt som spion til 18 år i fengsel, ble Vanunu holdt i streng isolasjon i enecelle i over 11 1/2 år. En strøm av appeller fra hele verden har hittil ikke maktet å få slutt på Israels brutale og ulovlige behandling av Vanunu Israel har varslet at han skal settes fri 21. april 2004. Oversettelse: Fredrik S. Heffermehl. lo que pueda haber por encima de ti. No hay nada que temer. Ni por qué preocuparse. Nosotros tenemos cerebro, ellos no. ¿Dónde tienen el cerebro? Yo también tengo cerebro. ¿Por qué veo la maquinaria completa? ¿Por qué veo el precipicio? Se echó hacia atrás y miró ¡monstruoso! el monstruo. Soy parte del sistema. Este tornillo es parte de una bomba. El tornillo soy yo. poniendo tornillos. ¿Quién más lo sabe? ¿Quién ha visto? ¿Quién ha oído? Lo veo. ¿Por qué yo? Esto no es para mí. Es demasiado grande. Levántate y grita. Levántate y dilo a los demás. Yo, el tornillo, el técnico, el mecánico. los ojos de la nación. Sin ti sólo hay precipicio. y no puedo esconderme de ella. El mundo es pequeño, pequeño para el Gran Hermano. la siguiente máquina. No. No existe tal cosa. todavía se encuentra en prisión.